The Sonesta St George is a quintessentially luxurious and elegant vessel sailing on the River Nile. The lavish lobby, classic dining room, refined lounge and piano bars and well appointed bedrooms combine to create the feel of a sumptuous and classical floating 5* hotel. 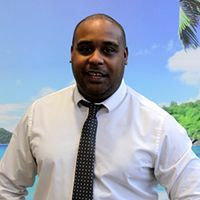 Dining on board comprises a buffet breakfast and lunch and an a la carte dinner with evening entertainment (on most nights) can be enjoyed in the lounge bar. Dress code for evening meals (smart/long trousers essential). For guests’ further enjoyment, there is a large swimming and sundeck and a spa and wellness centre where one can relax after a day full of adventure. This cruise operates every Monday on a weekly basis. Embarkation in the morning. Enjoy lunch on board and then free time to familiarise yourself with the boat. Take afternoon tea before more time at leisure. Dinner is taken in the evening followed by some live entertainment, a belly dancing and Egyptian folkloric show. Overnight in Luxor. 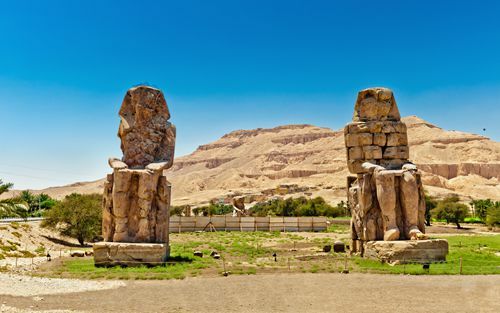 In the morning enjoy your first breakfast on-board before visiting the Westbank, including the Valley of the Kings, Hatshesput Temple and Memnon. Lunch is taken on-board. Set sail for Esna whilst enjoying free time, afternoon tea and the Captain’s Welcome Cocktail reception. Dinner is served on-board followed by a disco. Overnight in Esna. 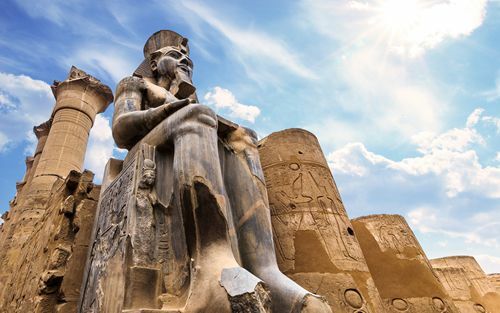 Set sail to Edfu whilst enjoying your breakfast. 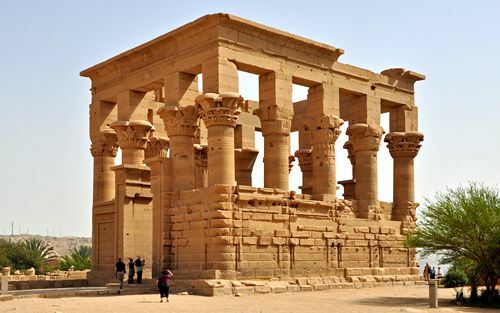 Visit the Edfu Temple and continue sailing to Kom Ombo. Lunch is served on-board followed by free time, afternoon tea, dinner and a Galabya Party. Overnight in Kom Ombo. 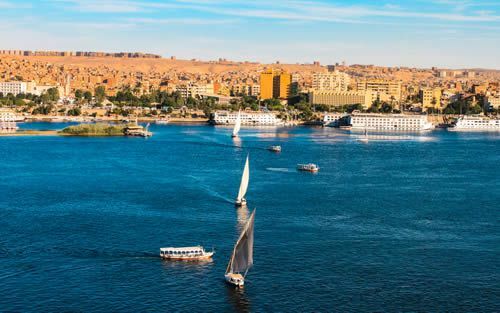 Set sail for Aswan. After breakfast visit the High Damn and the Temple of Philae. 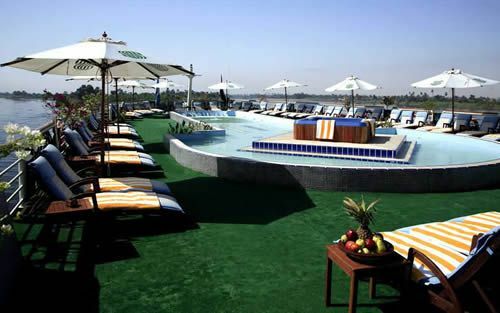 Take lunch on-board and then sail on the Nile by felucca, visiting the botanical gardens. Afternoon tea is followed by free time, dinner and then a disco. Overnight in Aswan. Enjoy a day at leisure on board whilst also taking breakfast, lunch, afternoon tea and dinner. 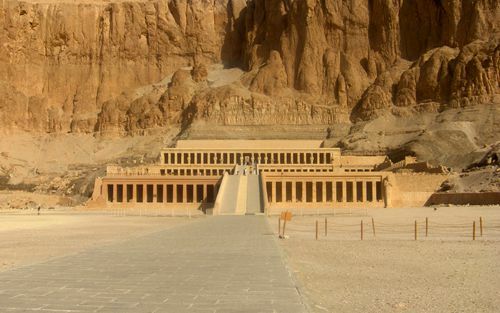 (Optional excursion to Abu Simbel available via Road or Air). Evening Nubian show. Overnight in Aswan. Breakfast on board whilst sailing to Kom Ombo. 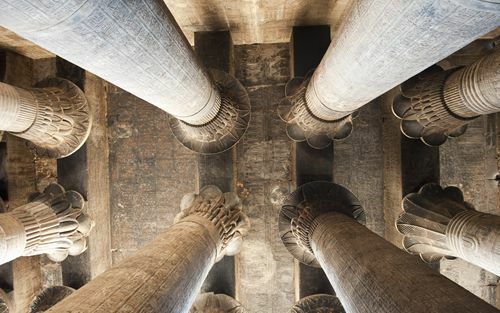 Upon arrival visit the Temple shared by 2 Gods, Sobek and Haerories. 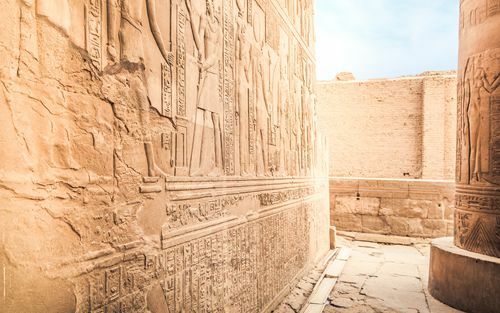 Set sail to Edfu whilst taking lunch and followed by afternoon tea. 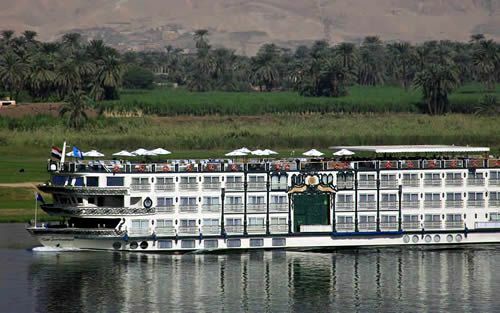 Continue on to Esna where you will have dinner on-board and then an Egyptian Galabeya party. Overnight in Esna. Sail to Luxor whilst taking breakfast. 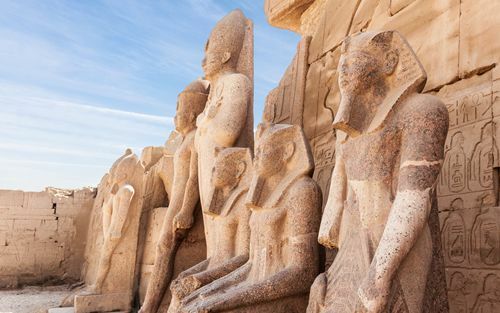 Upon arrival visit the East Bank including the Karnak and Luxor Temples. Back on-board enjoy free time along with lunch, afternoon tea and dinner. Disco music in the evening. Overnight in Luxor. The 47 Deluxe cabins and 9 Presidential Suites on board the St. George I vessel provide guests with luxurious and comfortable accommodation with quality furnishings and upscale amenities. All accommodation features a plasma TV, panoramic French windows, internet access (at a charge), direct dial telephone, air conditioning, mini bar, safe, hair dryer and a bathroom equipped with a spa unit which includes a steam bath, Jacuzzi and water massage.